Black Hawk Adult Large Breed Chicken & Rice 20kg The ideal Black Hawk diet designed for large and giant breeds where weight gain needs to be prevented. A lower energy diet A lower fat diet to avoid weight gain and associated joint disease No artificial colours, flavours or preservatives Australian made and owned Added emu oil which is naturally high in omega 3, 6 and 9 Ingredients Chicken Meal, Ground Brown Rice, Ground O..
Black Hawk Dry Dog Food Adult Chicken & Rice 10kg Black Hawk Chicken & Rice Holistic Adult Formula is designed to meet the AAFCO standards for growth and maintenance of dogs, ensuring your dog has the correct nutrients, vitamins and minerals for optimal health. Included in our formula: Chicken Meal – lower in protein and fat, while also highly nutritious. Brown Rice – a complex carbohydrate and high in B Vitamins. Chicken Fat – a high quality sou..
Black Hawk Dry Dog Food Adult Chicken & Rice 20kg Black Hawk Chicken & Rice Holistic Adult Formula is designed to meet the AAFCO standards for growth and maintenance of dogs, ensuring your dog has the correct nutrients, vitamins and minerals for optimal health. Included in our formula: Chicken Meal – lower in protein and fat, while also highly nutritious. Brown Rice – a complex carbohydrate and high in B Vitamins. Chicken Fat – a high quality sou..
Black Hawk Dry Dog Food Adult Chicken & Rice 3kg Black Hawk Chicken & Rice Holistic Adult Formula is designed to meet the AAFCO standards for growth and maintenance of dogs, ensuring your dog has the correct nutrients, vitamins and minerals for optimal health. Included in our formula: Chicken Meal – lower in protein and fat, while also highly nutritious. Brown Rice – a complex carbohydrate and high in B Vitamins. 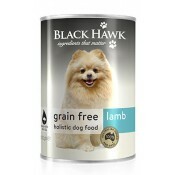 Chicken Fat – a high quality sour..
Black Hawk Dry Dog Food Adult Fish & Potato 10kg Black Hawk Fish & Potato Adult Formula is designed to meet the AAFCO standards for growth and maintenance of dogs, ensuring your pet has the correct nutrients, vitamins and minerals for their wellbeing. 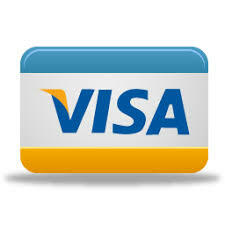 Included in our formula: Anchovy & Ocean Fish Meal – provides essential fatty acids and DHA. Whole Linseed – a natural source of fibre and high in Omega 3. Sweet Potato – a good source of m..
Black Hawk Dry Dog Food Adult Fish & Potato 20kg Black Hawk Fish & Potato Adult Formula is designed to meet the AAFCO standards for growth and maintenance of dogs, ensuring your pet has the correct nutrients, vitamins and minerals for their wellbeing. Included in our formula: Anchovy & Ocean Fish Meal – provides essential fatty acids and DHA. Whole Linseed – a natural source of fibre and high in Omega 3. Sweet Potato – a good source of m..
Black Hawk Dry Dog Food Adult Fish & Potato 3kg Black Hawk Fish & Potato Adult Formula is designed to meet the AAFCO standards for growth and maintenance of dogs, ensuring your pet has the correct nutrients, vitamins and minerals for their wellbeing. Included in our formula: Anchovy & Ocean Fish Meal – provides essential fatty acids and DHA. Whole Linseed – a natural source of fibre and high in Omega 3. Sweet Potato – a good source of ma..
Black Hawk Dry Dog Food Adult Grain Free Chicken 15kg ** INFO TO COME ** ..
Black Hawk Dry Dog Food Adult Grain Free Chicken 2.5kg ** INFO TO COME ** ..
Black Hawk Dry Dog Food Adult Grain Free Chicken 7kg ** INFO TO COME ** ..
Black Hawk Dry Dog Food Adult Grain Free Kangaroo 15kg ** INFO TO COME ** ..
Black Hawk Dry Dog Food Adult Grain Free Kangaroo 2.5kg ** INFO TO COME ** ..
Black Hawk Dry Dog Food Adult Grain Free Kangaroo 7kg ** INFO TO COME ** ..
Black Hawk Dry Dog Food Adult Grain Free Lamb 15kg ** INFO TO COME ** ..
Black Hawk Dry Dog Food Adult Grain Free Lamb 2.5kg ** INFO TO COME ** ..
Black Hawk Dry Dog Food Adult Grain Free Lamb 7kg ** INFO TO COME ** ..
Black Hawk Dry Dog Food Adult Grain Free Salmon 15kg ** INFO TO COME ** ..
Black Hawk Dry Dog Food Adult Grain Free Salmon 2.5kg ** INFO TO COME ** ..
Black Hawk Dry Dog Food Adult Grain Free Salmon 7kg ** INFO TO COME ** ..
Black Hawk Dry Dog Food Adult Lamb & Rice 10kg Black Hawk Professional Dog Food is made with special ingredients to ensure your dog stays healthy throughout their life. Ingredients: Lamb Meal, Ground Brown Rice, Ground Oats, Chicken Fat (preserved with mixed Tocopherols source of Vit E, Citric Acid Rosemary extract), Brewers Dried Yeast, Rye, Flaxseed meal, Fish Meal, Canola Oil, Emu Oil, Dried Carrots, Dried Kelp, Choline Chloride, Potassium Chloride, Chicory, Yucc..